The Progress in Infancy Research Series is dedicated to the presentation of innovative and exciting research on infants, both human and animal. Each volume in the series is designed to stand alone and contains autonomous chapters which are based on high quality programs of research with infants. These chapters integrate the work of the authors with that of other experts working in the same or related areas. 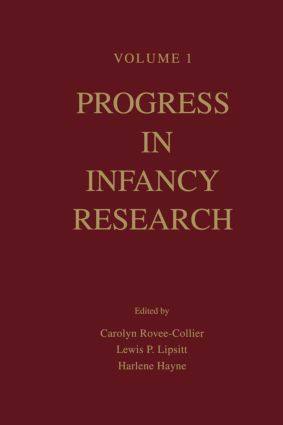 The authors wish to present high quality critical syntheses bearing on infant perception and sensation, learning and memory processes, and other aspects of development. This series will be a forum for the presentation of technological breakthroughs, methodological advances, and new integrations that might create platforms for future programmatic work on the complexities of infant behavior and development. Each volume in the series is dedicated to an outstanding investigator whose research has illuminated the nature of infant behavior and development, and whose contributions to the field have been of seminal importance.